There’s almost always an emotional element associated with selling a long-time home. SRES®designees are real estate agents that specialize in senior needs and ease the transition first by talking about your reasons for selling and then exploring all the options either modifying and staying in your current home or finding a different property. Our goal is always to find the very best housing solution for you. I use my expertise and industry knowledge to provide an honest assessment of your property and make suggestions for improving it for saleability. I work with a network of trustworthy home improvement professionals who can help with any modifications needed to best showcase your home and give it appeal to the broadest audience possible. 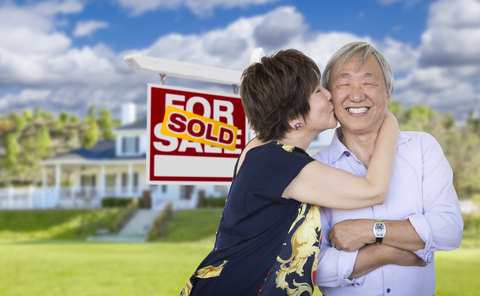 A Seniors Real Estate Specialist® will help with pricing and marketing strategies. I can help assemble an appropriate team to ease the transition to a new property. Movers, landscapers, contractors, and organizers can handle the heavy lifting as needed. Attorneys, 1031 exchange specialists, title/escrow professionals, mortgage bankers, and reverse mortgage specialists support you with expert advice representing your highest interests. For Windermere clients Moving Link offers free residential consulting services for packing, moving estimates, storage and portable containers (Pods), and relocation advocacy. A Seniors Real Estate Specialist® will help you transition to a new city. I can help you find your new home locally or refer you to the best qualified broker to find the right home in another city, state or country. I have connections to the very best real estate brokers through my worldwide invitation-only network, Leading Real Estate Companies of the World. Leading RE includes over 500 market-leading firms. We sell over a million homes and connect tens of thousands of buyers and sellers through our network each year. And if you’d like, I can personally interview brokers to find the professional with whom you’ll feel most comfortable.